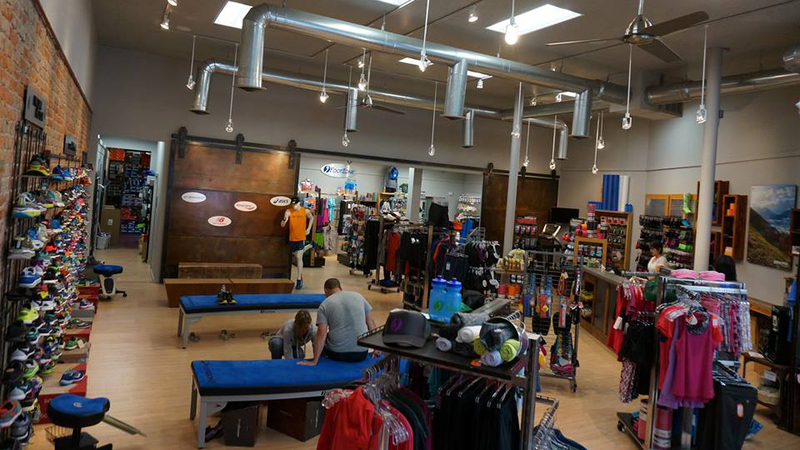 Locally owned and operated, FootZone is all about helping runners get the most out of every run and every mile. In fact, they thrive on being the hub of the local running community. Open seven days a week, the shop is located in downtown Bend and operates with a small business philosophy of providing the best possible service for its customers, and supporting the many other small businesses around it. FootZone carries a huge selection of running shoes but their goal isn’t to sell you just any shoe; they are trained to sell you the right shoe. If you know what you want, great; they probably have it. But if you’re new to the sport or in the market for a different model, the fit specialists will check your stride and gait, talk to you about your mileage goals and running habits, then match you with the pair made just for you. Beyond shoes, you can pick up socks, apparel, hydration packs, running fuel, and more. And once you’re all geared up, you can hit the road (or trail) by joining one of FootZone’s many group runs, held throughout the year come rain or shine…or snow. FootZone also sponsors a number of races every year and serves as the pick-up location for many runs and walks sponsored by other entities. Because that’s what community is all about.